Staff Sgt. 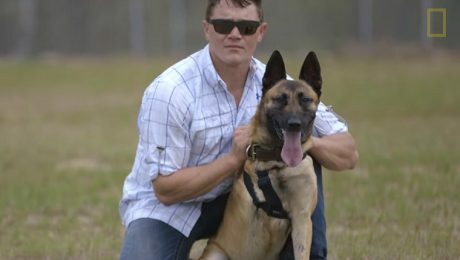 Julian McDonald fought hard to adopt Layka, the military dog who was shot four times while saving his life in Afghanistan. 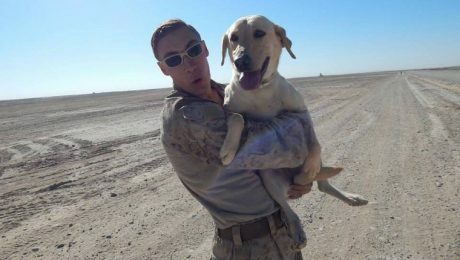 It's no wonder that our veterans' furry companions are so happy to see them when they return. 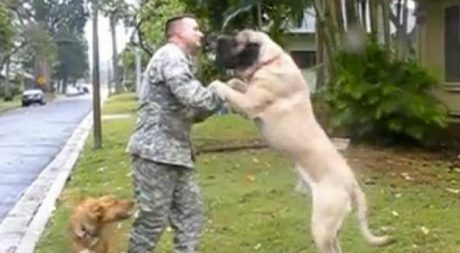 Here are some heartwarming videos of soldiers as they are reunited with their best friends in honor of Veterans Day. 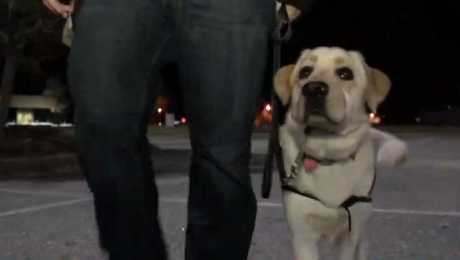 How Many Service Dogs Have To Be Kicked Off Flights Before American Airlines Gets It? 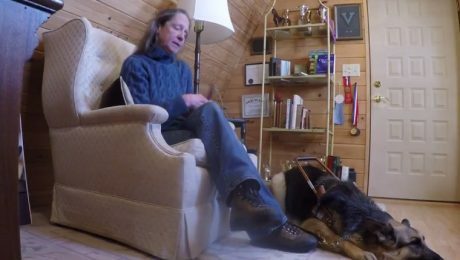 American Airlines kicked yet another service dog off of its flights, this time a guide dog for a 61-year-old blind woman. They apologized, but this just keeps happening. A woman hit a veteran's dog with her car after the German Shepherd escaped his yard while chasing a deer. She is suing the dog's owner for damages to the car. 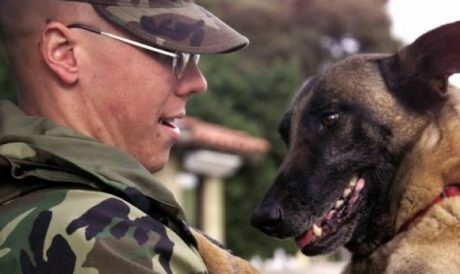 Marine Sam Wettstein knew it would be nearly impossible to adopt his former dog partner, but despite the odds, the two are back together forever in the United States. To all of the brave soldiers out there, we wish you a safe and happy return home! 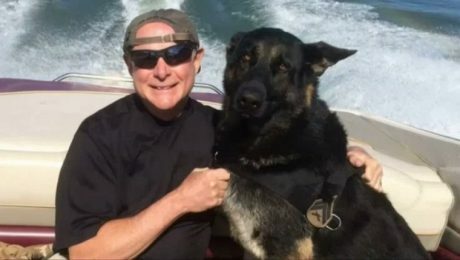 A veteran was escorted from the premises by mall security, even though his right to have a service dog is protected by the Americans with Disabilities Act.